This fund was created as an emergency fund to help with medical and calamity assistance to the church planting teams of ECPM and their contacts in the area where they are ministering. It has proved very useful in assisting the church planting teams to implement basic compassion to assist the building of relationships and provide a small resource so small responses can be made in the new communities. Bright Hope World's partnership with ECPM goes back to the days of Len and Mary Savill being missionaries in the Philippines. They introduced us to ECPM, a church planting movement, and it has been a privilege to be able to partner with them for a number of years now. Anyone involved in a church planting team associated with ECPM is eligible to apply for assistance from this fund. ECPM is a well established church planting and leadership training organisation with strong Christian leaders who have a real heart to see the lost won for Christ. The church planting teams often make huge sacrifices to shift into areas where there was previously no church and seek to share the Gospel so it is great to have this fund available to assist them in times of difficulty. 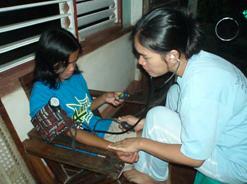 To continue to provide emergency funds and medical assistance for ECPM team members. 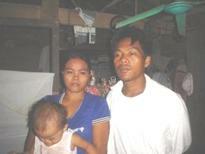 In February 2008 one of the members of the team in Polillo, Homer Boragay, required surgery due to appendicitis. There was no hospital on Polillo Island so Homer and his wife Beth had to go to Lucena Provincial Hospital which is a long way from where they live. Considering the resources they have, it was not enough to pay for all their hospital bills so ECPM was able to provide financial assistance through this fund. The couple was very thankful for the help they received. It was a time where their faith and dependence on God was tested, now knowing how to raise the funds they needed. The experience only showed that really God is the great provider. It taught them how to trust in God for their daily needs. In June 2008 Sheralyn, from the church planting team in Himamaylan, Negros Occidental, in the southern part of the Philippines was diagnosed with a urinary tract infection and appendicitis. She suffered from severe pain for many weeks. She is thankful she didn't require surgery to remove her appendix. Her doctor gave her prescriptions for various drugs she had to take. 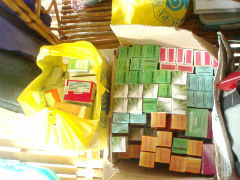 ECPM gave her medical assistance and bought the medicines she needed. Dr Carmen Rodis is a doctor who is also one of the Board of Trustess of ECPM. She periodically visits the church planting teams and checks the medical conditions of the team members, their families and their contacts. Many contacts are able to benefit from this free medical check-up where they are also given medicines. With the financial assistance coming from the Compassionate Relief Fund, ECPM is able to help fund the medicines she takes.